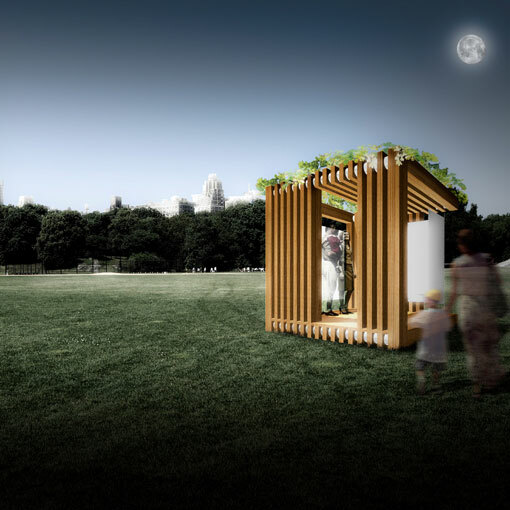 The Jewish tradition of Sukkot, with its mandatory creation of a temporary, nomadic structure called the sukkah, relies on the use of easily found materials and an understanding and respect for place and nature. JZA+D created two structures – the Longhouse Sukkah and Sukkah³;. Through use of contemporary materials emulating traditional longhouse elements in tandem with vernacular forms altered to allow views of the sky, the Longhouse Sukkah fuses two cultures from the past to continue an inveterate Jewish commandment in our 21st century American context. Sukkah³; arranges its components in different orientations in order to adapt to diverse contexts. 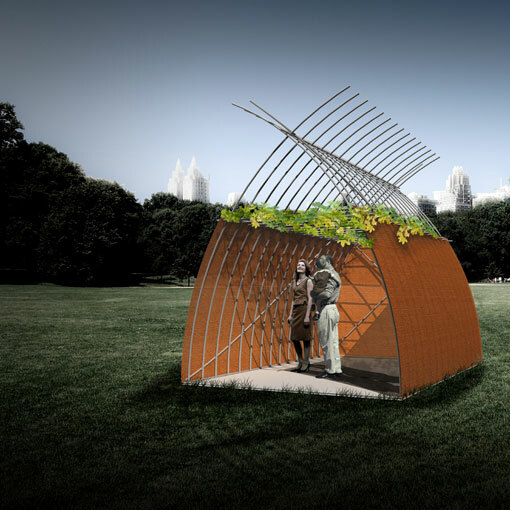 Sound in form and function, Sukkah³; has the ability to transform, conforming to the imagination of its users, and to any context in which it is installed.